A seventeen-year-old, caught up in the race to get into NITs and IITs, decided to give a half-century-old college in a far off place called Burla a go. Shielded from the hullabaloo of big city life, the boy got his biggest reality check yet. At this point, a mentor happened. She taught the guy valuable life lessons, which were at times subtle and but own-right harsh at others. Bathed in the erudition and inspired by the unfaltering motivation, the guy decided to follow his dreams, and boy! Follow he did, reaching new milestones every day and setting up some of his own as he went. No, this is not a script for a new movie. This is the story of an ordinary boy from an extraordinary college, the story of my alma mater, VSSUT and me . Burla- a picturesque town on the foothills of the Hirakud dam voiced by the Mahanadi gurgling contently in the background and birds cackling in the still, lush green trees. 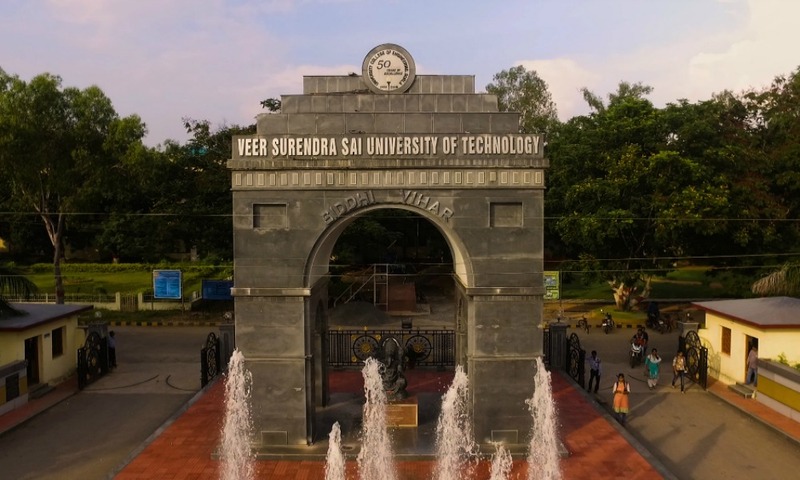 Set among slopes full of whisper and the scurry of small lives, is an institution boasting of acmes transcending all confines of the small town in western Odisha- Veer Surendra Sai University of Technology, a fascinating temple of contemporary education with an equally enthralling past. It has time and again proved its mettle through the tremendous work displayed at various eminent designations by its alumni for the society in whole. Established in 1956 to provide engineers to facilitate the operation of the Hirakud dam, its now a second home to 5200 undergraduate and 800 post graduate students enrolled in different courses offered by the fourteen departments of the university. Furnished with more than 30 state-of-the-art laboratories, it is one of the first institutes, second only to IIT Kanpur, to have a fully functional High Voltage lab. And at VSSUT, learning goes far beyond the four walls of the classrooms, to the sports fields, to robotics arenas, to racing tracks, and to studios. The university motto, ‘Siddhirbhawati Karmajaa’ (Efforts yield success) is more than justified by its students. The students are involved in various activities which tests them in various real life challenges like event management, fund allocation, time management, leadership and many more. The VSSUT Student Satellite Team is working in collaboration with ISRO. VSSUT App Developers Console have developed an Android App named ‘VSSUT-BURLA , Guide’ which is available in Android Playstore. Brainchild of the students of VSSUT, the Sanskar Kendra has adopted a school in the nearby village Kirba with 100% success rate in the matriculation exam. The BAJA SAE Club, SUPRA SAE Club, Robotics Club, the Dramatic Association, the Audio Visual Club, the Music Club, the Dance Club, the Art and Photography Club, and the Literary Society provide ample opportunity to the students to explore their creative horizons and to win accolades and hearts, both on national and international platforms. The university has produced more than 50 batches of brilliant engineers, each of who has left a part of himself/herself here. This video is a beautiful tribute to the oldest engineering college of Odisha by the students and the West Alumnus Society of Burla Engineers (WASBE) in collaboration with the Alteregocrew Pvt. Ltd. (Mumbai). A heartwarming paean, this is a gesture that was long overdue.